177.25 TMC of water, instead of the 192 TMC, to the state of Tamil Nadu. "In totality, we deem it appropriate to award to the State of Karnataka an additional 14.75 TMC of water, i.e., 10 TMC (on account of availability of ground water in Tamil Nadu) + 4.75 TMC (for drinking and domestic purposes including such need for the whole city of Bengaluru). In view of the allocation of additional 14.75 TMC of water to Karnataka, the State of Karnataka would now be required to release 177.25 TMC of water at the inter-state border with Tamil Nadu, i.e., at Billigundulu". The rejection of the stand of Kerala seeking trans-basin diversion for hydro-power projects by the Tribunal is justified. The Tribunal has allocated a total of 30 TMC of water towards the overall needs of the State of Kerala and we concur with the said conclusion of the Tribunal. We concur with the Tribunal‘s findings that the Union Territory of Puducherry is entitled for a ―second crop‖, having regard to its unique geographical position and its irrigated area being approximately 43,000 acres. The allocation of water in favour of Union Territory of Puducherry does not require any further enhancement. It was also held that an interstate river is a national resource and not the property of any one state. While pronouncing the judgment, the Chief Justice stated that the same takes into consideration the legal submissions, the findings recorded by the tribunal, the analysis of the principle of allotment, the interpretation of section 6A of the Interstate River Disputes Act of 1956. In making the equitable distribution, the bench held the requirement of drinking water at the “highest pedestal”. While the allocation of water to Puducherry saw no enhancement, the additional allotment to Karnataka has been made for the purpose of environmental protection. A bench headed by Chief Justice Dipak Misra and justices Amitava Roy and A M Khanwilkar was delivering its judgment on a batch of cross-petitions filed by Karnataka, Tamil Nadu, Kerala, and Puducherry challenging the 2007 Cauvery River Water Disputes Tribunal award. The bench had reserved the verdict on September 21 last year. The court during the last leg of hearing told the Centre that it will have to frame a scheme for the implementation of its orders on river water sharing between these states and Puducherry after the judgment is pronounced. Judges also advised parties concerned to submit their written submissions answering the question of law by Karnataka, opposition to the proposition of question of law by Tamil Nadu, significant aspects of the 2007 award and the principles invoked by the tribunal, the genesis of the issues and other dimensions. The tussle between Tamil Nadu and Karnataka began at the SC after CWDT in 2007 finalised the water sharing formula. The award had come on February 5, 2007, and was gazetted by the Central government on February 19, 2013. Besides deciding on the sharing of water, the tribunal had recommended setting up a Cauvery Water Management Board and the Cauvery Water Regulation Committee. During the hearing, Karnataka told SC that the 1924 agreement between the then British province of Madras and the princely state of Mysore could not be the basis of sharing of Cauvery river water between present-day Karnataka and Tamil Nadu. Tamil Nadu contended that the tribunal’s award was erroneous as it allocated 192,000 million cubic feet of water taking into account the cultivation of just one crop as against the prevailing two-crop cultivation in the state, and sought setting up of a mechanism for the award’s implementation that includes the Cauvery Water Management Board. 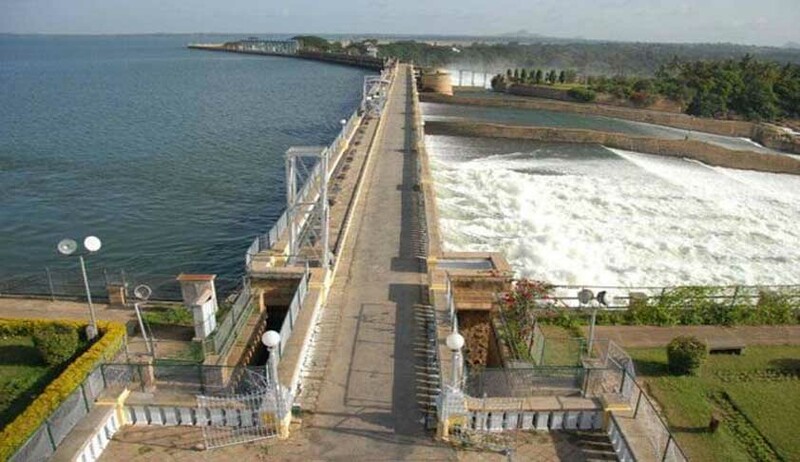 Seeking more water than what was allocated by Tribunal, Tamil Nadu said in the absence of Cauvery Water Management Board, it had not got its allocated share of water. Tamil Nadu also told the bench that they don’t trust the Centre as far as Cauvery is concerned as they took six years to publish the CWDT award in the Gazette and haven’t even constituted the management board.